I don’t have any further information on this couple. 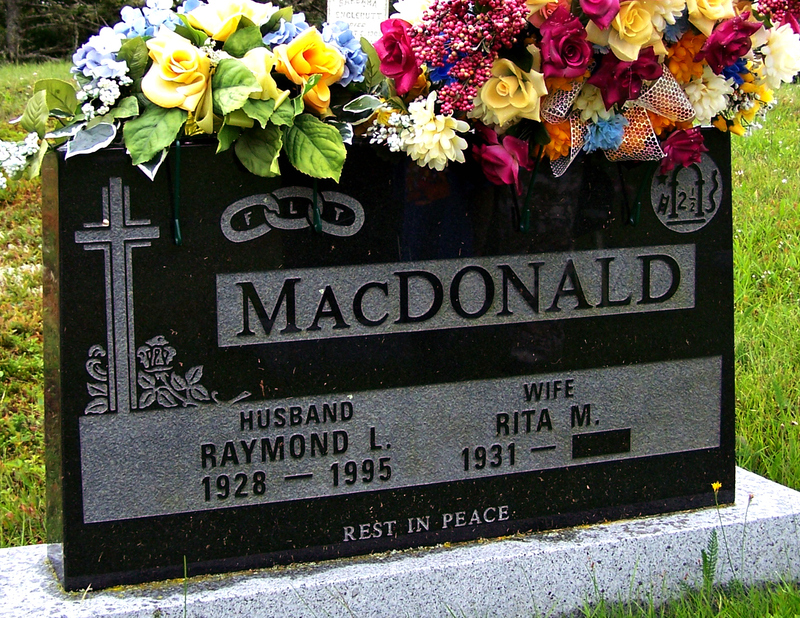 Raymond may be the son of Mary Ann Jordan McDonald and Trueman Lester MacDonald. From the symbols on his headstone, it appears he was a member of the Orange Order. Anderssen, Eric Archibald: Born: July 7, 1901 at Moser River, Halifax County, NS, son of Anna Rebecca Tingley and Carl Anderssen.